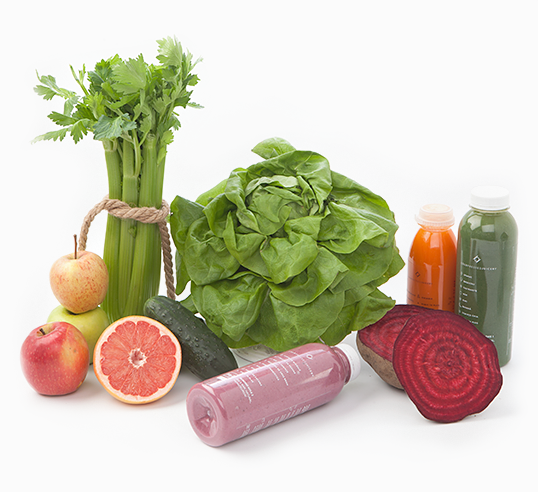 Juice cleansing is when you only consume fresh raw fruit and vegetable juices, herbal teas, water and vegetable soups, for a short period, usually between 1-7 days. During a juice cleanse you abstain from eating solid foods, black tea or coffee, milk and dairy products, alcohol, sugar, soft drinks, and whey based protein powders. It is recommended that you seek advice from a health care professional if you are planning on going on a juice fast for longer than a week, or if you have any medical conditions. Juice fasting is not recommended for pregnant or breastfeeding women. Many of the juices can however be consumed as a snack in-between meals to complement a healthy pregnancy or breastfeeding diet. Contact us if you are pregnant for advice on the best juice combinations, that are free from any herb or supplement that may be contraindicated during pregnancy.